Gran De Gracia is definitely one of the liveliest streets in the city of Barcelona. 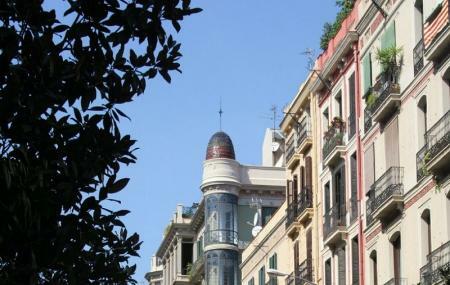 It is known as Carrer Gran De Gracia and is a favorite for shopping amongst the locals as well as tourists. The street has a lot of shops available all over and is a definite must visit to pick up a lot of local stuff as well as a lot of other interesting stuff. It is almost like your one stop solution to carry back whatever you need to from Barcelona. Visit this place to connect with the local shopkeepers and discovering a different side of Barcelona. The opening hours of the shops differs. How popular is Gran De Gracia? People normally club together Barri De Gracia and Torre Bellesguard while planning their visit to Gran De Gracia. People also prefer to end their day with Gran De Gracia.